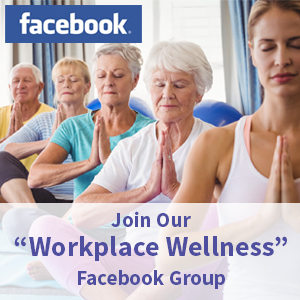 A major 2016 Wellness Initiative at Clarks Americas Corporation, led and coordinated by our awesome Benefits Manager, was the 2nd annual Health Fair, hosted on-site at our Newton, MA and Hanover, PA office locations. In our Newton office, 81 employees took part in Biometric Health Screenings where they learned important health numbers including their BMI, cholesterol profile, A1C and glucose levels, blood pressure and pulse rate. The health fair also included a Red Cross Blood Drive, Smoothie and Hydration station, Dermascan sun damage screening, a popular make-your-own-trail mix station, and vendors from local sports clubs offering generous class and membership discounts to employees. Extra excitement was stirred up with a rowing machine competition. Several enthusiastic employees joined in an intense mini exercise class led by a local CrossFit owner and athlete to get a taste of the challenge of a full class. The hidden sugars in common foods and drinks were brought to light through several eye-opening visuals. 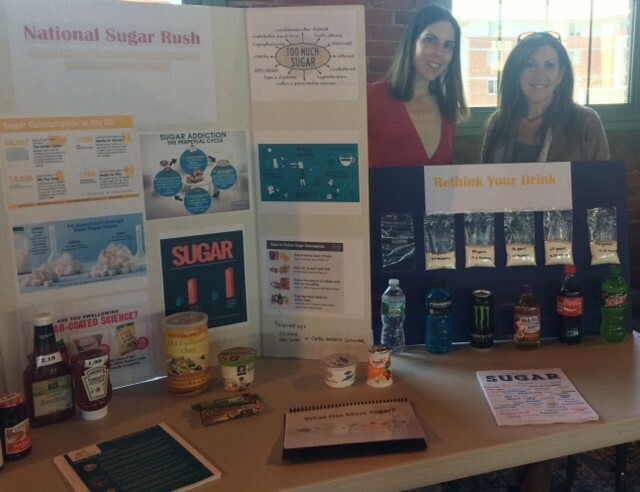 Our Sugar Display shown below revealed many everyday foods that contain high amounts of sugar and high fructose corn syrup (HFCS), and educated employees on the potential dangers of each. We presented actual snacks that employees would typically think are healthy and often consumed at work such as yogurt, oatmeal, energy bars, and condiments like ketchup and jam. We presented both an unhealthy, high-sugar, HFCS option as well as a healthier option. The prices of each product were clearly labeled – driving home the point that healthier does not always equate to more expensive. One employee commented, Incredible! I was shocked and amazed at the amount of sugar I saw. I will never drink a Coke again! It was a successful day, with much knowledge gained and fun was had by all who attended. 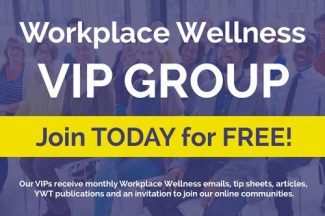 To learn more about cultivating healthy workplaces as a Workplace Wellness COE Certified Ambassador or Master Ambassador, check out our Workplace Wellness Ambassador Certification Programs or download our Program Catalogue!